Reveal is our powerful and easy to use digital marketing dashboard that provides you with the integrated analytics you need to accurately measure your digital marketing strategy from search to sale (and everything in between). When we first introduced Reveal, we were excited but hardly satisfied. We wanted it to do more. We immediately set to work on improving our platform. Today, we’re excited to officially roll-out Reveal 2.0, our most powerful digital marketing dashboard yet. 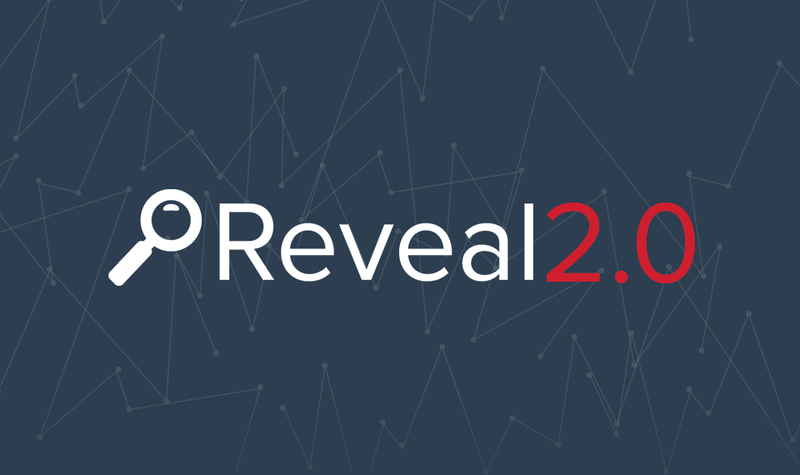 Reveal 2.0 is a complete overhaul of the first version. We didn’t just slap a fresh coat of paint on and call it new. We tore down the entire house and built a new one. After beta testing the platform over the last few months, we’re ready to go live. A sample view of your new digital marketing dashboard in the all new Reveal 2.0 platform. For our current clients, your Digital Marketing Strategist will be individually walking you through the platform, but we still wanted to share some highlights. We’re excited. Can you blame us? Without further ado, meet Reveal 2.0 or click here to take a tour. We’ve completely redesigned the digital marketing dashboard to create a better user interface and data organization structure. To keep it simple, Reveal 2.0 is more powerful and much easier to use. The new user interface has a sleek design and modern layout. A large part of the redesign is focused on the new digital marketing dashboard. This dashboard displays all of your connected services and provides you with an overview of your entire marketing strategy. This new design will save you time by allowing you quick and easy access to your most important digital marketing analytics. Email Marketing: Email marketing data is now included Reveal 2.0. This includes campaign name, subject line, send time, total number of emails sent, open rate, clicks and unsubscribes. These metrics will allow you to measure the effectiveness of your email marketing campaigns. Local Directories: Our local search strategies involve the management of dozens of different local search directories. With Reveal 2.0, we’re now able to quantify impressions, visits and clicks that these secondary directories are accumulating. This provides a more insightful view of your local search traffic. Call Tracking: Our new call tracking feature allows you to track calls from your paid advertising campaigns and even listen to the recorded call. This allows you to better measure your paid advertising investment. You can now track calls and listen to recorded calls directly from your Reveal dashboard. Google+ Pages: Keep tabs on your followers, +1’s, shares, comments and post views. Report Creation & Automation: We know you’re busy. To save you time, we’ve added a reporting feature that delivers custom reports right to your inbox. This allows you to keep up with your marketing analytics without having to even log in. Please contact your Digital Marketing Strategist to learn more about Reveal 2.0 and all of its new features and integrations.